Top Five Best Radios For 2019 - Which? From portable radios to bedside alarm clock radios, we round up the best DAB and internet devices for 2018, with models to suit every budget. A digital radio can be a great way to catch up with the news, listen to music or find out the latest drama in your favourite radio soap. 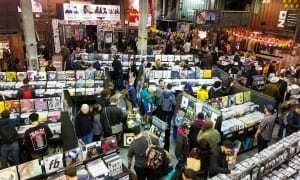 But it’s imperative to make sure that any new purchase is not only easy to use, but also sounds great, too. Radios come in all shapes and sizes, and choosing the right radio for you will be contingent on how and where you intend to listen to it. We’ve picked out five of the best radios on sale this year in the table below, from pocket-sized portable DAB devices to alarm clock radios and larger table-top radios. These Best Buy radios sailed through our in-depth tests, excelling in terms of sound quality and user-friendliness, so we wouldn’t hesitate to recommend them. But it’s equally important to identify the radios that aren’t so impressive so you know which ones to avoid. As a result, we’ve selected three Don’t Buys you shouldn’t waste your money on. This compact tabletop radio excels. It has a beautifully warm sound that elevates a wide range of musical genres, and speech is clean and clear as well. 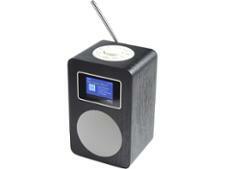 It has 10 DAB and 10 FM presets to store your favourite radio stations, and an easy-to read LCD screen. There’s even support for Bluetooth, aux in, line out and a headphone socket so you can connect various devices. It’s the ideal space-saving companion for the kitchen or any room in your house. Most pocket-sized radios can't compete with larger models, but this diminutive radio really does punch above its weight. 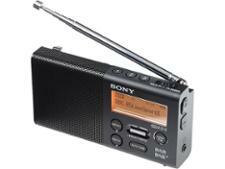 Perfect for holidays or for using out and about, it’s a well-made DAB/FM radio for a reasonable price. One of the very best internet radios on the market, this British brand DAB+/FM/internet radio launches radio design into a new era. Not only does it bring sensationally warm, crisp and entertaining stereo sound to whatever you’re listening to, its premium real-wood finish and full-colour screen make it a highly stylish package. Its feature-packed as well, with Bluetooth, NFC, aux in and RCA sockets to connect to your services, a handy USB port for charging your smartphone, Spotify Connect music streaming built-in and even multi-room support to combine the radio into a wider speaker sound system. Find out the full details of this incredible radio in our extensive review. This could be considered the quintessential retro radio, with timeless looks and tried-and-tested functionality. It has plenty of features, is easy to use, and it sounds good, too. It’s bang up-to-date under the hood, with clear speech and punchy pop, and has the latest modern features as well including Bluetooth, giving you access to internet features such as internet radio and podcasts via your smartphone. If you’re looking for a retro alarm-clock radio designed specifically for the bedside, you’ve come to the right place. The sound is superbly balanced and there are two independent alarms, flexible sleep and snooze functions, and the alarm volume rises slowly so you’re awoken gently. The premium build is a treat, and the telescopic aerial saves you from the fiddly wire ones found on most clock radios. Not found the product for you? Browse all our digital radio reviews. The worst radios from our testing not only sound awful but they’re a chore to use and have limited features. We’ve seen digital radio alarm clocks with impossibly small snooze buttons, portable radios that burn through batteries in a matter of hours and table-top radios with screens so poor that they are rendered completely pointless. Make sure you don’t waste your money on these duds. 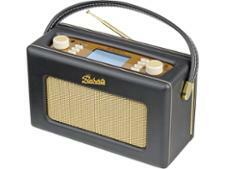 This DAB/FM radio may have stylish retro looks, but it narrowly avoids getting a Don’t Buy. Available for around £50, it would be an expensive mistake to buy this radio for use as an alarm clock, with the low maximum volume making the two independent alarms and snooze function useless if you’re a heavy sleeper. Despite having stereo speakers, it sounds poor, with a rough and scratchy sound that lacks life and bass. On closer inspection the build quality is quite poor as well, and having the screen on top of the radio makes it hardly ideal for use as a radio alarm clock. It’s not worth the money. 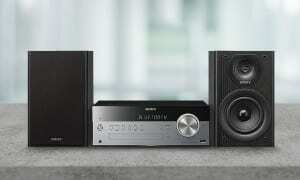 Login to find out which radios we would recommend instead with vastly superior sound quality. This radio may have the Scandinavian looks found in high-end brands such as bang & Olufsen and Vifa, but buying this would quickly lead to disappointment. This is a very poor radio with grievously poor sound that will quickly irritate you and your partner. There’s buzzing and distortion to the sound even at normal listening levels, and the sound is rough and harsh. Our expert listening panel concluded you simply ‘can’t use’ this radio for long listening sessions as it would be ‘headache-inducing’. Login to make sure you know which radio this is to avoid an unfortunate mistake if you see it on the high street. Although this brand makes excellent alarm clock radios, this isn't one of them. Our listening panel could barely detect any bass or treble, and in addition to the tinny sound it was a pain to use because the buttons are small and close together. If you thought buying a digital radio was simple and straightforward, think again. 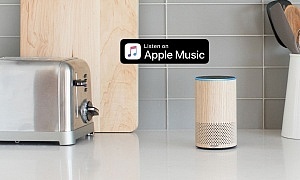 As well as finding a great-sounding radio within your price range, you need to make sure it’s suited to the room or place you primarily intend to listen to it in. Below, we explain the key considerations to bear in mind, so you can make sure you invest in the right radio for you. A large display is ideal so you can see the time at a glance, but it also needs to be dimmable to avoid being kept awake by the glare. We assess how suitable every radio would be as a bedside alarm clock radio, and this takes into account the display clarity and brightness level. You’ll need at least one alarm, although if you and your partner have different wake-up times it’s best to get a radio with multiple independent alarms. To avoid having to change the alarm time every week, you’ll want one with the ability to set different weekday and weekend alarms. The best radios will have a sizeable and easy-to-use snooze button, so you can easily find it through sleep-fogged eyes. Touchscreens are a nightmare to use with wet hands, so avoid these if you like to listen to the radio while you do the washing up. Ideally, you want a radio with easy-to-operate knobs and buttons with a built-in timer to help you avoid burning dinner. If space is at a premium, consider a compact radio with a front or top-facing speaker, so it can easily fit on a window sill or slot in next to other kitchen gadgets without muffling the sound. A radio with Bluetooth capability can stream music from smartphones and tablets, which is ideal for parties or if you fancy a change from the radio. Space is much less of an issue when choosing a radio for your living room, which means you can go bigger on sound and opt for a table-top model with large speakers. Some come with a remote control or an app that can turn your smartphone into a remote, which is handy as it means you don’t have to get up off the sofa to switch stations or adjust the volume. If you live in an area with a lot of traffic and background noise, you want to make sure your radio will be heard. We don’t just test radios for sound quality, but also the maximum volume it can reach before distortion occurs. We would advise opting for one that is water resistant or waterproof in case you get caught in a sudden shower or accidentally spray it with the garden hose. It’ll need to be battery powered so you don’t have to have it plugged into the mains, and some radios have a built-in battery charger so you can easily recharge them if they run low. A pocket-sized radio with headphones is ideal for travelling, but make sure you check how long the rechargeable battery will last so you can make sure it won’t lose power mid-way through the day. 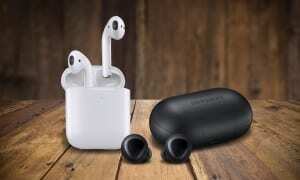 Most come with headphones that also function as an aerial to improve the signal reception. It’s important to make sure it has a button lock so you don’t accidentally press the controls when you don’t need to.